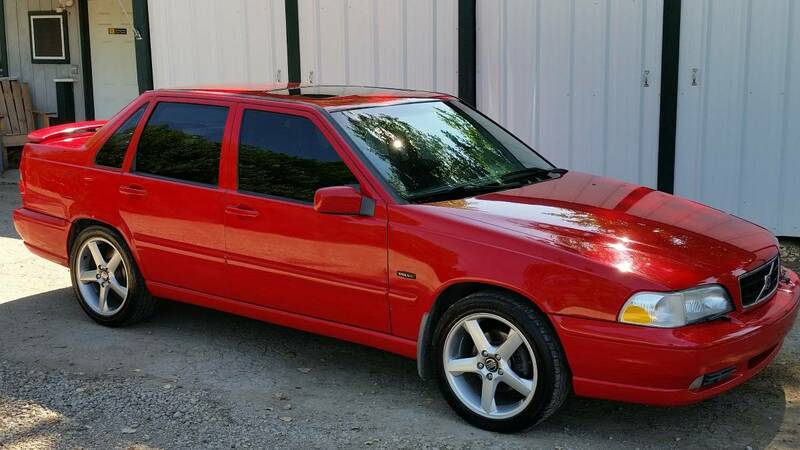 For sale in Colorado is a very rare high pressure turbo (T5) manual transmission (M) S70 in red/graphite. This 1998 S70 T5M looks like a winner. 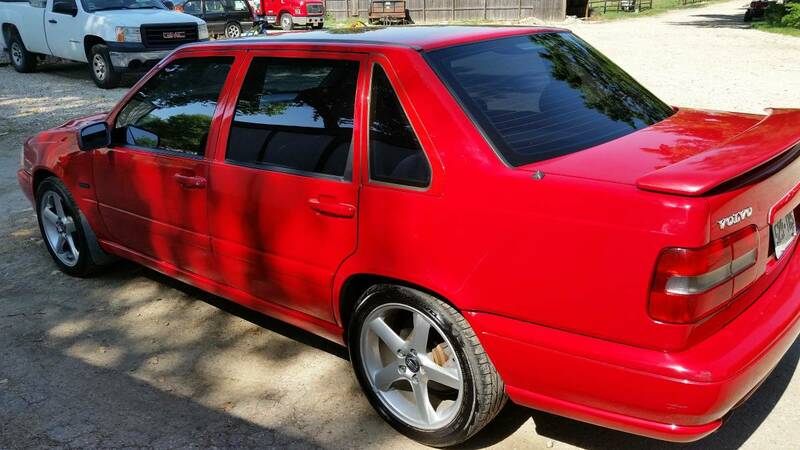 For sale in Colorado is a very rare high pressure turbo (T5) manual transmission (M) S70 in red/graphite. Owner is asking $4800. I don’t think that’s unfair. This car is significantly more rare than an R Volvo from the same year. It’s not mine, I’ve never seen it, and I don’t know the owner. It just looks great over the Internet. I’d give ten tan interiors for one graphite. I love graphite and strongly dislike tan. Just a personal preference. This is a rare car. Very few were imported with this exterior and interior color combination, and with the manual transmission. Tasteful upgrades include a cold air intake, HID headlights, window tint, and larger Comet wheels. The heater core is new, and oil changes have been regular and with synthetic. Shifts smoothly, and the turbo spools as it should. 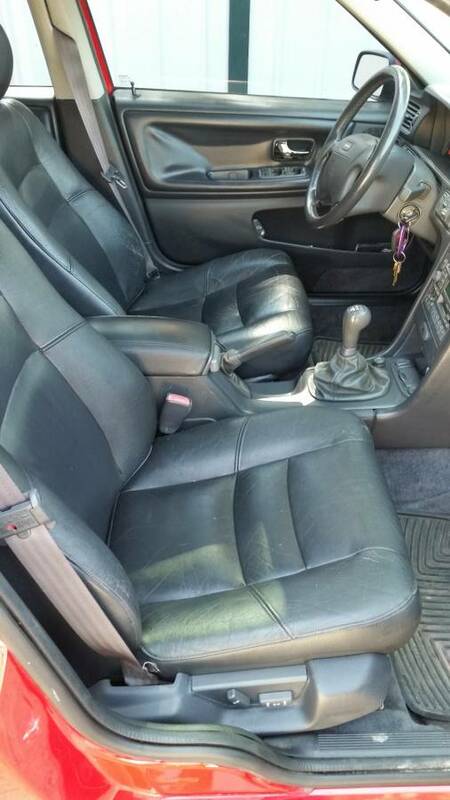 The interior leather looks great, and the back seat still looks new. AC blows cold, and everything works. The body is straight, and there is no rust anywhere. While the paint shines, the clear coat is starting to flake in a few spots. Approximately 180k miles, and capable of many more. This is a nice car for the condition and price, and perfect for a Volvo enthusiast. Call or text for more info. See more Volvo buyer examples and tips in the Volvo Buyer’s Guide. The usual disclaimer: I don’t know the seller, don’t know the car, don’t know anything beyond what the ad says, and don’t have any interest in this sale. 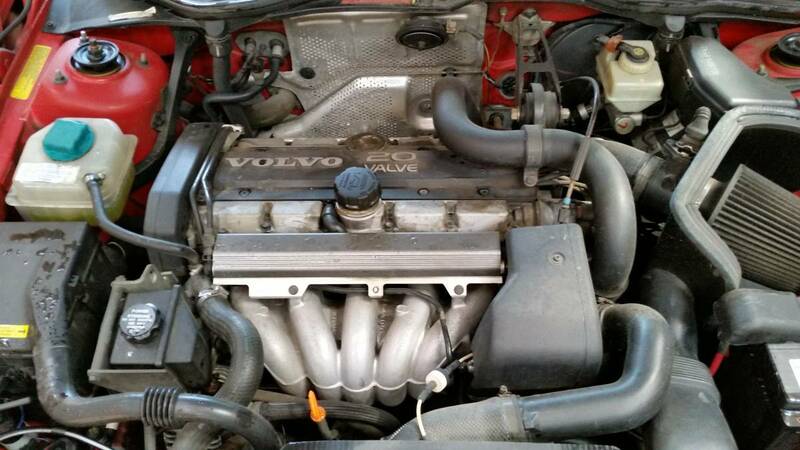 This post is intended to potentially provide a match between an MVS member and his future Volvo, or generate discussion because of the car’s rarity, beauty, or low price. MVS posts ads of cars that I personally would go to see with intent to buy. Volvo Owner's Manuals Now in App Form! Is this still available? Cause if it is, I might be interested. Is this a category posting error? Not sure why this is in the Repair Database…the Craigslist posting is expired etc. Next PostNext XC60 – Buy Extended Warranty?